Andres Hervas-Drane specializes in the analysis of firm strategy using game theoretic modeling. His research focuses on information technologies and on how digitalization shapes competition and the business models adopted by firms. His recent work examines consumer privacy and the exploitation of consumer data, analyzing the mechanisms that contribute to the success of data-rich industry players such as Google, Facebook, or Amazon. Other research strands include peer-to-peer architectures, such as the implications of consumer file sharing for media markets and cultural policy, and the impact of recommender systems in online retail. He has published in Management Science, the International Journal of Research in Marketing and the Journal of Economics & Management Strategy, among other outlets. 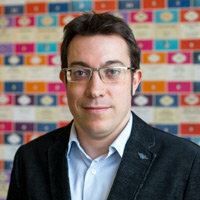 Before joining Cass in 2014, Andres was an Assistant Professor at Universitat Pompeu Fabra and held postdoctoral and doctoral research appointments at Columbia Business School, Harvard University, and London Business School. Andres obtained his Ph.D. in Economics and BA in Business Administration from the Universitat Autònoma de Barcelona. Aversa, P., Hervas-Drane, A. and Evenou, M. (2019). Business model responses to digital piracy. California Management Review, 61(2), pp. 30–58. doi:10.1177/0008125618818841 . Hervas-Drane, A. and Noam, E. (2017). Peer-to-peer file sharing and cultural trade protectionism. Information Economics and Policy, 41, pp. 15–27. doi:10.1016/j.infoecopol.2017.08.002 . Casadesus-Masanell, R. and Hervas-Drane, A. (2015). Competing with privacy. Management Science, 61(1), pp. 229–246. doi:10.1287/mnsc.2014.2023 . Hervas-Drane, A. (2015). Recommended for you: The effect of word of mouth on sales concentration. International Journal of Research in Marketing, 32(2), pp. 207–218. doi:10.1016/j.ijresmar.2015.02.005 . Casadesus-Masanell, R. and Hervas-Drane, A. (2010). Competing against online sharing. Management Decision, 48(8), pp. 1247–1260. doi:10.1108/00251741011076771 . Casadesus-Masanell, R. and Hervas-Drane, A. (2010). Peer-to-Peer File Sharing and the Market for Digital Information Goods. Journal of Economics and Management Strategy, 19(2), pp. 333–373. doi:10.1111/j.1530-9134.2010.00254.x . Creus-Mir, A., Casadesus-Masanell, R. and Hervas-Drane, A. (2008). Bandwidth allocation in peer-to-peer file sharing networks. Computer Communications, 31(2), pp. 257–265. doi:10.1016/j.comcom.2007.08.001 . Hervas-Drane, A. and Casadesus-Masanell, R. Strategies for Seizing the Privacy Landscape. MIT Sloan Management Review.